The Quilting Hermit: My First One! Could it be? My first attempt at free motion quilting? I assure you that while I've been silent on the blog, I certainly haven't been idle! 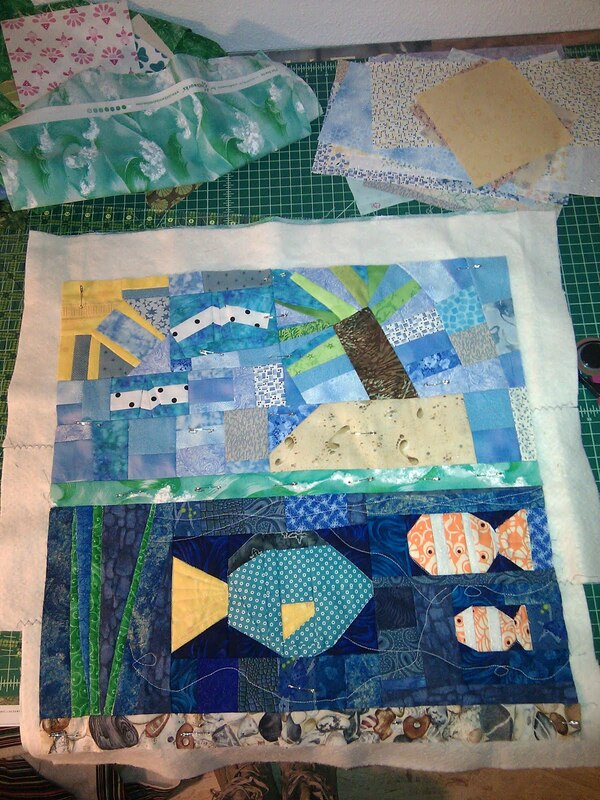 As you can see, I finished the Nemo quilt top and have started quilting it with my brand spankin' new free motion quilting foot set for my Jenny. I'll show you some of my other finishes later...the Brown Bag Quilt, my log cabin quilt (hand quilting project from last summer), quilt top for a little boy set to arrive on June 1, and a few string and crumb blocks that I'm not sure I like. Life is busy though and I'm off to bed. Tomorrow will come all too soon! Your quilting is wonderful! What an adorable quilt! !